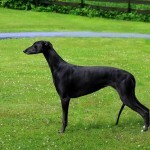 New champion Jet’s Love Me Or Leave Me, Adina, became a Finnish and Estonian champion at her first attempt. Many congratulations to owner Sari Sorvo on making up Jet’s homebred champion number 197. Jet’s Just For Pleasure, Elsa, made her show debut at six months old in Dublin with owner Brendan Nolan to win the Green Star and BOB. Hooray for Elsa and Brendan! Jet’s Love Me Or Leave Me, Adina, won her first CACIB, BOB and Group-2 at Tartu International in Estonia. Many congratulations to owner Sari Sorvo. BIS-winning Jet’s Man in the Moon, Henry, won his American champion title this past week-end in the capable hands of Lesley Potts. Many congratulations to owner Stepanka Horakova. Henry thus became our 196th homebred champion. UK. Lux.Norw.Ch. Jet’s Take A Bow with Blakeskerra, Agathe, won her international and Danish champion titles this week-end in Herning. She thus became our 92nd homebred international champion. Big congrats to owner Denise Isaac. Can.Ch. Jet’s Smiling to the Moon, Justine, recently won her second AKC major with a group win. Many congratulations to her owners.